The referees I rated most highly over the course of my career were those who were prepared to interact with players, even when the stakes were high in games and the pressure was on for everyone to perform. The referee is the man in charge of the game, but like anyone in a position of authority the job is so much more than just an unyielding enforcement of the rules – especially when we know that there will be mistakes made on both sides. If a referee tries to do his job like a robot then the chances are that he will lose control. If he shows he is human, and can acknowledge the occasional error, then you would be surprised how much it easier it is to run the game. 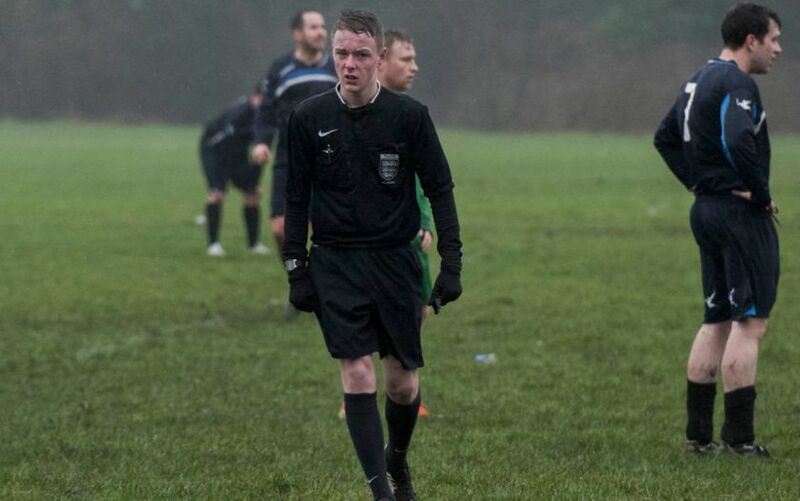 Referees face more scrutiny now than ever before, and the threat of a strike at the grassroots level organised by the amateur referee Ryan Hampson, from Manchester, shows that many have had enough. I cannot claim that, in the heat of the moment, I always treated referees as I would like to have done, but on the whole I respected their job. Have you ever tried calling a close offside in real time at the pace of a Premier League game? It is almost impossible to be sure. There are judgements and guesswork and estimates. My personal view is that the standard of refereeing rose steadily through my career. I have mates who disagree in the strongest possible terms, but then referees of the past never had to deal with HD, super slo-mo and 20 different camera angles. I also rated the old school refs who were around at the start of my career – Paul Durkin, Neil Midgley, Roger Milford. You could talk to them during the game, and it made certain decisions easier to take. I firmly believe that a dialogue between the referee and the players defuses situations and that leads to fewer yellow and red cards. There were some referees who always had an answer. I might say, “You got the decision wrong”. To which the response could be, “Well, you’re not having a very good game either.” There were others who would respond to criticism by saying, “You may well think so, but I disagree”. It immediately took the sting out of any conflict. You need confidence and charisma to do that. Some referees can and others struggle, but the answer in my eyes is more interaction. Mark Clattenburg did not always get it right, in my view, but he was always prepared to manage the players on the pitch by talking to us, and when everyone is under pressure that helps. Players and referee are in the same industry. We want games to be decided on the right calls, and to my mind it does not help to have a distant, authoritarian figure in charge. I would encourage referees to come to training grounds much more often and referee the games at the end of sessions so that they understood players better. The Professional Game Match Officials organisation did do that, albeit only once a season. I will never forget Lee Mason taking part in a boxes exercise at Carrington, the one in which two players try to intercept the ball while it is passed, on a two-touch limit by the rest of the players. Mason was in with Nemanja Vidic, and the struggles of our referee guest were such that after a long period of chasing in vain, Vida threw down the bib and requested a new partner before walking off. Left on his own, Mason stopped and shouted after Vida, “Hey any chance of a bit of help here?” I should mention at this point that no-one really spoke to Vida like that. Safe to say we never let him forget the time he got a b------ing from Lee Mason. I realise that when it comes to referees, I will have the Andy D’Urso incident from 2000 thrown at me when I and a number of team-mates protested a penalty that he – correctly, it turned out –awarded for Jaap Stam’s trip on Juninho in a league game against Middlesbrough. We were wrong, and we should not have gone after him like that, and in the heat of the moment, when you are a chasing a league title, then things can happen. There are others who use that psychological edge very successfully. The Juventus striker Filippo Inzaghi would be offside what seemed like 15 times a game, and every time, whether it was marginal or not, he would berate the linesman. It was obvious what was going on. He wanted the benefit of the doubt. He wanted to plant that seed of doubt, for the linesman to think “I surely can’t give him offside again”. That is where the official has to be strong. It is not easy. This week alone, the handball incidents in Manchester City’s FA Cup fifth round replay against Huddersfield Town divided people, even after the replays had been pored over. That offside decision that denied Southampton a goal at Wembley in the EFL Cup final was a marginal call. Football does not lend itself to video assistants in the way that rubgy and cricket have breaks in plays, but that does not means we cannot find a way to make it work. The rugby union attitude towards the referee is clearly very different. We do not have that culture in football but I think there is a case for saying that the captain is the sole point of communication. To do that you need him to have some kind of understanding of the challenges facing a referee, and vice versa, and meetings away from the game during the season would help. Referees these days are fitter and better drilled. Since I made my debut 26 years ago they have turned professional and they have those two-weekly briefings at St George’s Park. All of those things have helped them to do a better job but as well as using technological development, we have to get away from the notion of “us and them”. That means players themselves not trying to con referees by diving. 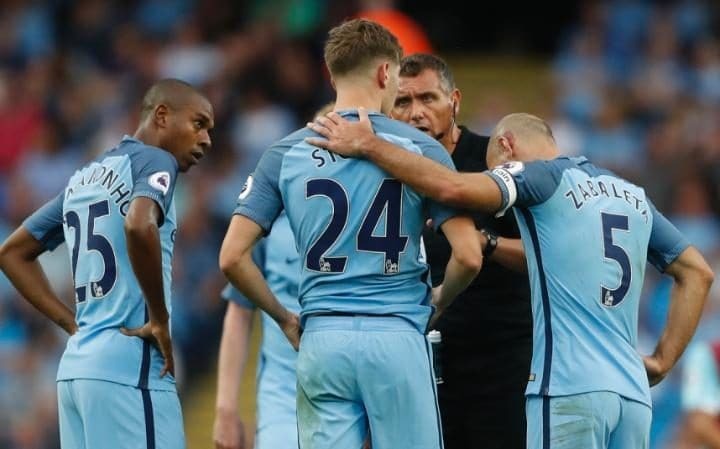 It means training referees to manage games and players, and doing that by bringing them into clubs so they are more comfortable communicating with players. We are not trying to influence their decisions, but accepting that in the heat of the battle, when mistakes can be made on both sides. If there is a mature, open dialogue then the game, the spectacle, will be that much better for it.